Let's welcome the New Year according to Lunisolar Hindu Calendar. This beautiful rangoli symbolizes the culture of Gudi Padwa. 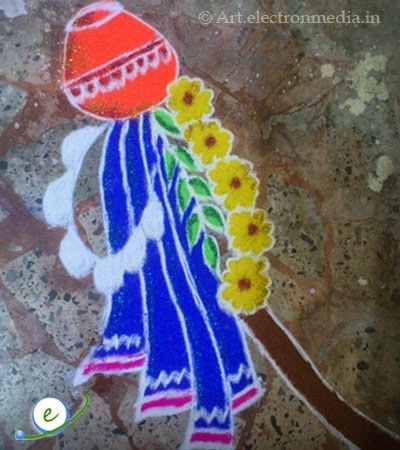 Each color beautifully used to make the rangoli to stand out the details.